Located in the heart of the historic Garneau area, this beautifully maintained 5-Plex is the perfect place to call home! Enjoy walking distance to Edmonton's famous River Valley, Whyte Avenue, Old Strathcona Farmers Market and more! This location makes any commute a breeze! 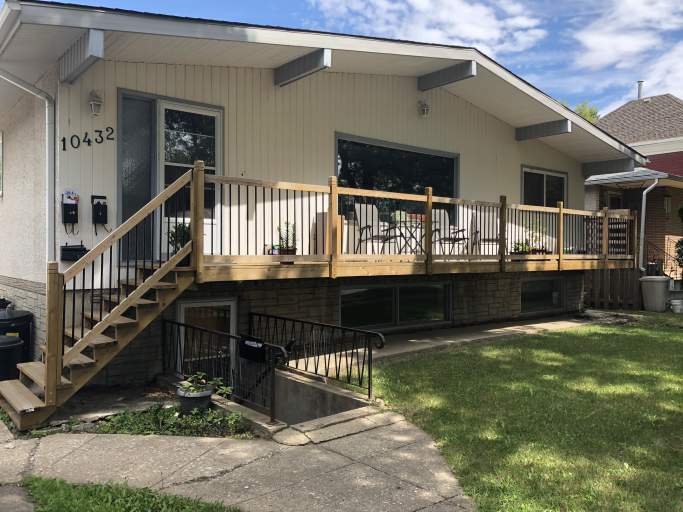 Minutes to U of A, Downtown Core, Macewan and more! Don't miss out on the quiet yet convenient location! This main floor unit features large windows and access to a shared parking pad. Open the front door and be amazed at a large front living room with laminate flooring, tons of natural light and enough space for any furniture arrangement! Off the living room is spacious kitchen and dining area with tile flooring, plenty of cupboard and counter space and white appliances including fridge and stove. Down the hallway are three spacious bedrooms along with a full bathroom with tub shower. ALL UTILITIES INCLUDED IN RENT!! Coin-Laundry Machines Available in Building Common Area. One off-street parking spot available + plenty of street parking.